Versatile and intuitive, the OTC18T System delivers enhanced patient comfort and optimized workflow. Precisely designed to withstand high-volume throughput in hospital radiology departments, medical imaging centers and large orthopedic facilities with the need to perform a broad range of radiographic studies. 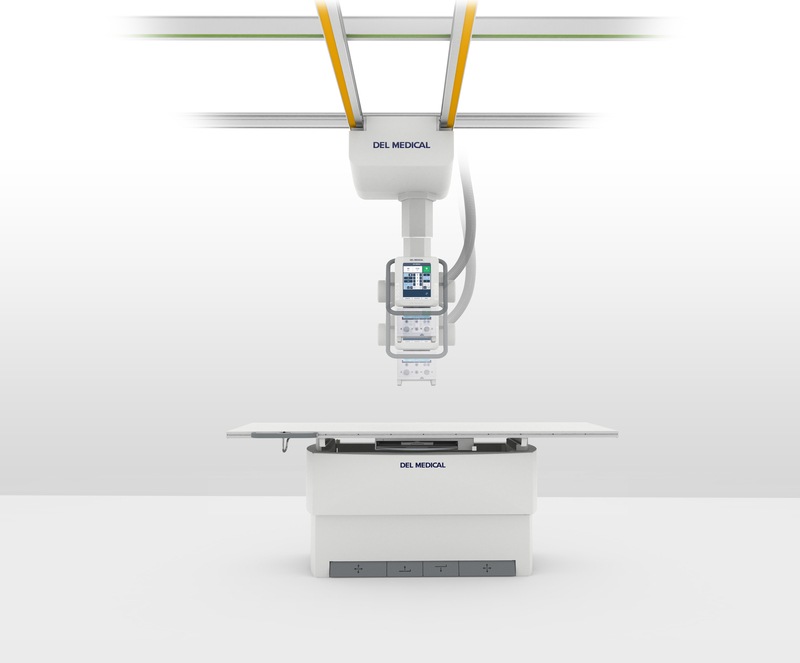 Our overhead tube crane features a sophisticated LCD touchscreen console, which supports enhanced capabilities to offer a more genuine patient experience. By integrating with a DELWORKS DR System and compatible generator, technologists are given the ability to adjust generator technique factors without leaving the patient’s side. Its overhead horizontal and transverse tracks provide technologists with limitless imaging procedure capability, including cross-table laterals and other challenging views. The system embraces operational effciency through ergonomically designed user controls, tracking to a selected image receptor, and an industry leading table with a patient weight capacity of up to 800 lbs. The OTC18T System was developed through innovation to produce the highest quality diagnostic images with ease. Built in the USA, it is prepared to deliver many years of continuous use and exceptional user-satisfaction. No features available. View PDF for more details.